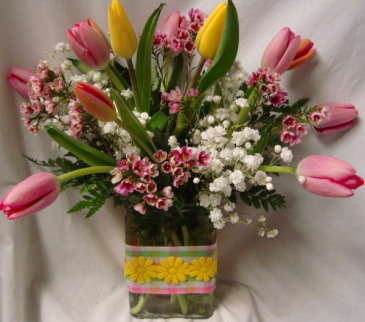 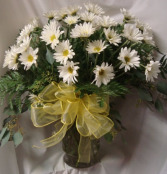 ARRANGED IN A CUTE RIBBON DETAILED VASE! 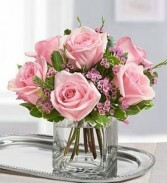 CUBE VASE WITH 6 PINK ROSES WITH FILLER! 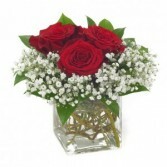 IN A CUBE OR ROUND VASE!